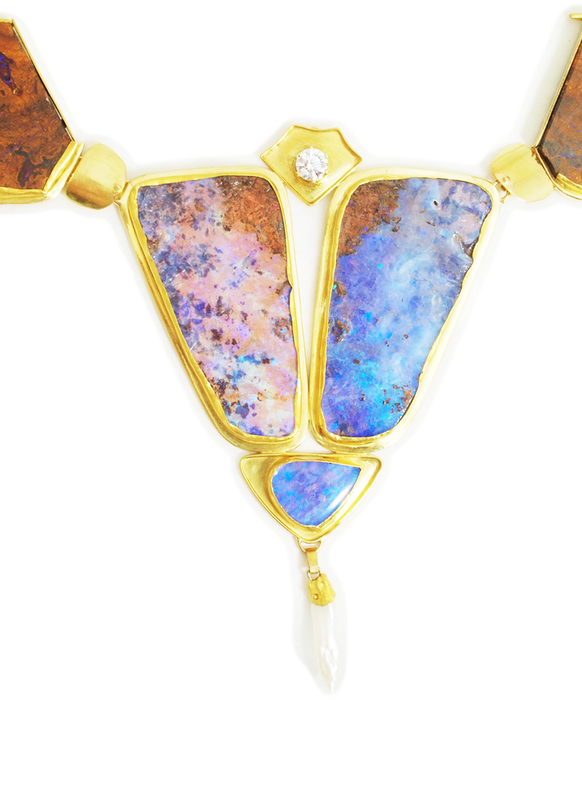 Australian Boulder Opals, 18k, 22k gold, freshwater pearls, CZ. 1998. Split opals, 18k, 22k gold. 1990. 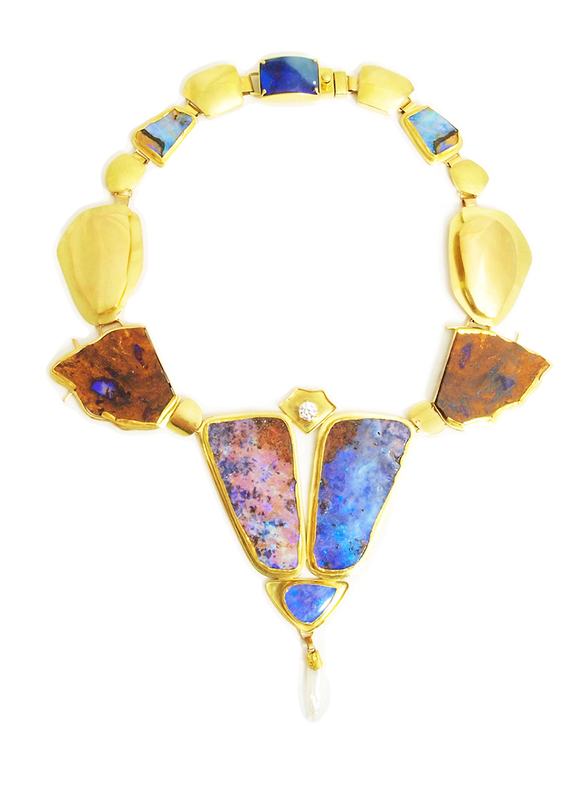 6 opals, 18k gold. 1980/1990. Various sizes and materials including pearl, 18k and 20k gold. Dates range from 1980 to 2017. 18k coiled wire, pearls. 1990. 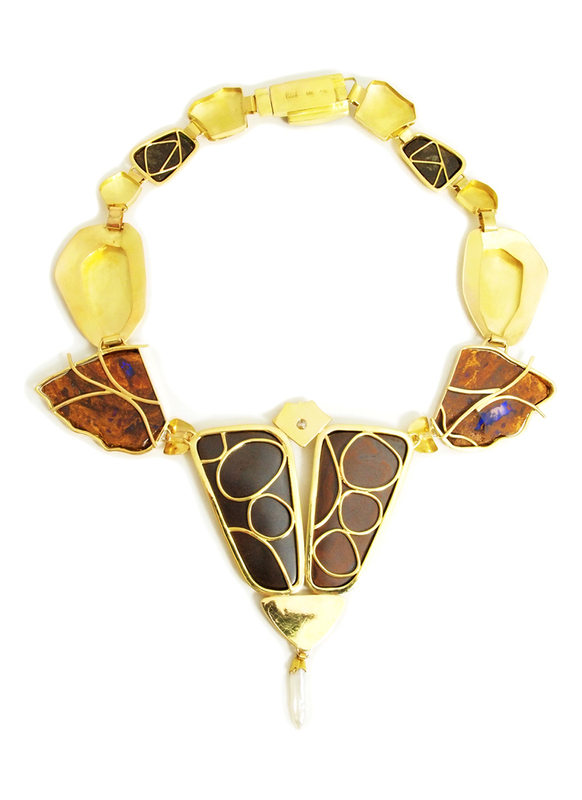 Oblong, cattle-fish bone cast and opal, 18k gold. 1972. Sterling silver, glass mosaic pieces, pearls. 2006. Yoshiko Yamamoto’s work ranges from timeless elegant pieces incorporating precious metals and stones to playful, sculptural, kinetic earrings, brooches and rings that sway and move with the slightest movement. The recipient of Ford and Mellon Foundation Grants for the Arts, her work is held in numerous private and public collections including the Museum of Fine Arts, Boston; The Museum of Art and Design, New York; The Renwick Gallery, Smithsonian American Art Museum, Washington, D. C. and the Long Beach Art Museum, California. 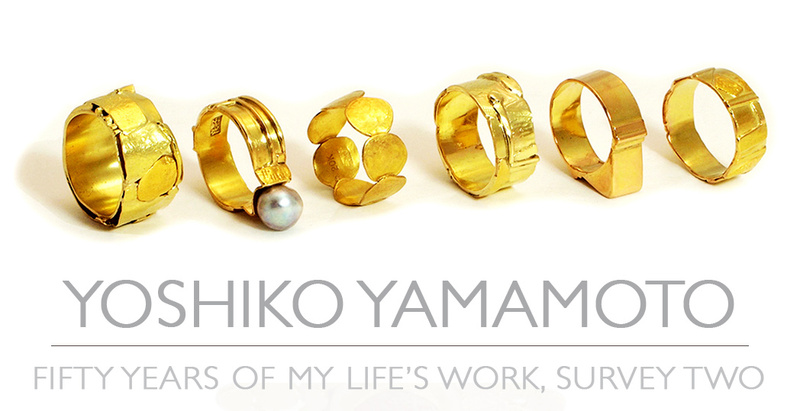 We invite all metal work aficionados to visit this second survey exhibition of Yoshiko Yamamoto’s lifelong work.